Hanoi (VNA) – The domestic steel market has seen a price surge and hoarding before temporary safeguard measures recently imposed on two types of steel imports into the Southeast Asian country, experts said. Domestic steel prices have reported an increase by 250,000 VND (12 USD) per metric tonne. Currently, the steel price is at 8.9 - 9 million VND a tonne. The Ministry of Industry and Trade (MoIT) on March 8 announced additional tariffs on imported steel products as a temporary safeguard against inexpensive imports that were allegedly threatening the domestic industry. As per the Decision No 862/QD-BCT issued by the ministry, it will impose temporary safeguard duties of 23.3 percent on steel billets and 14.2 percent on long steel products for a maximum of 200 days. On December 25, 2015, the MoIT issued Decision No 14296/QD-BCT on a safeguard investigation into imports of steel billets and long steel products, based on a complaint lodged by local producers Hoa Phat Steel Joint Stock Company (JSC), Southern Steel Co Ltd, Thai Nguyen Iron and Steel JSC and Vietnam-Italy Steel JSC. The four domestic steelmakers, who collectively account for 34.2 percent of the country's total supply, said their production had been affected by cheaper imports. Vietnam Steel Association (VSA) has asked its member producers to have suitable production plans in place as well as keeping selling prices stable. VSA added that the temporary safeguard measures on steel billets and long steel products has been useful under international regulations to prevent flooding of imported steel into Vietnam. The association statistics showed that in February, the steel output of its members rose by 69 percent to 1.16 million tonnes as compared with the same period last year. Steel consumption last month was more than 918,000 tonnes or 70 percent year-on-year increase. Steel exports reached 178,000 tonnes, posting 15 percent rise from last year. 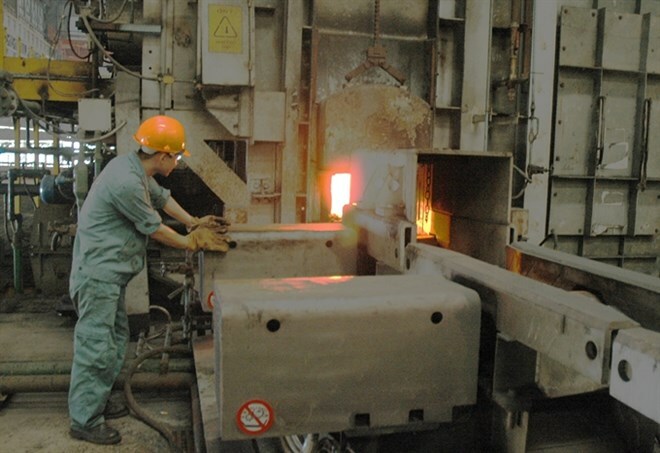 Nguyen Van Sua, VSA's deputy chairman told Tuoitre (Youth) newspaper that it was unreasonable for the safeguard to affect market-driven steel prices as Vietnam's steel supply is exceeding demand.